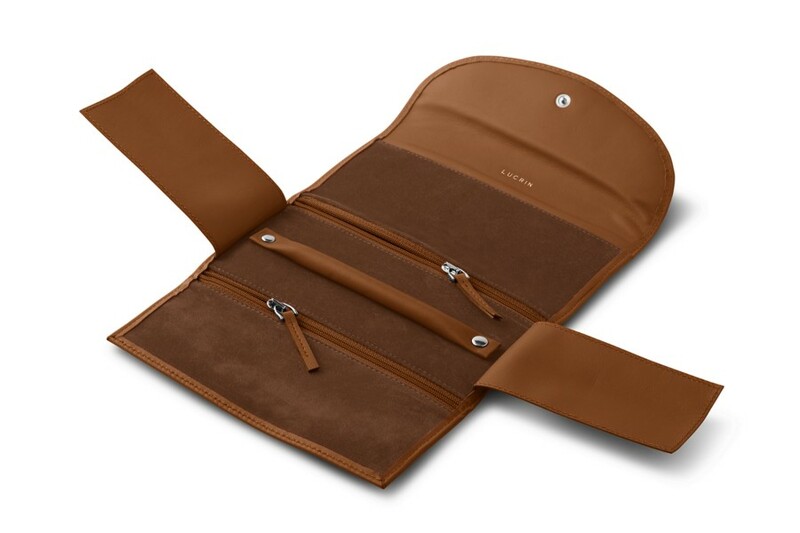 Made from natural leather, this wonderful jewelry pouch consists mainly of two zipped pockets in which you can store your bracelet, necklace and any other charms! 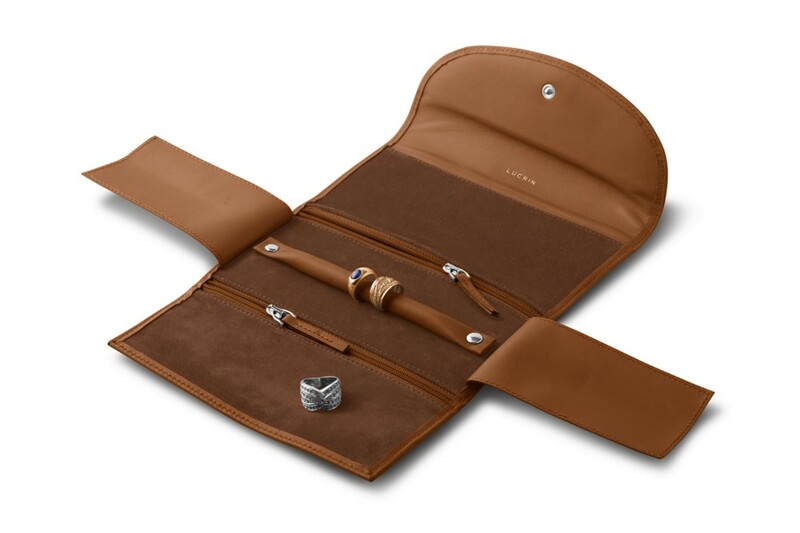 Another interesting feature is a delicately placed leather bar, right in the middle, where you are able to slip on your rings. The pressure studs at the bar’s ends make sure that your rings are kept well in place. 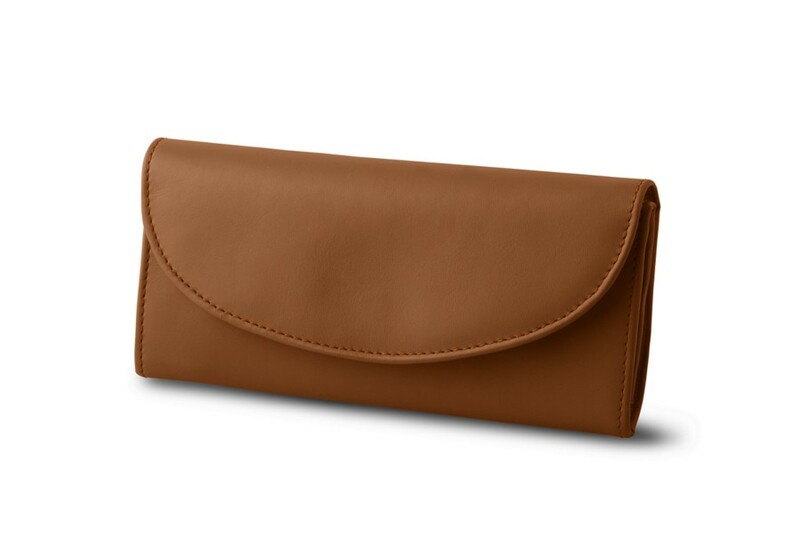 This is an elegant and handy leather jewelry pouch reliable enough to keep your precious ornaments safe and tidy, whether at home or on your travels.